Third Space Life Charity* and the UBCO School of Nursing present a panel featuring women in leadership in the community, moderated by journalist, Kent Molgat. 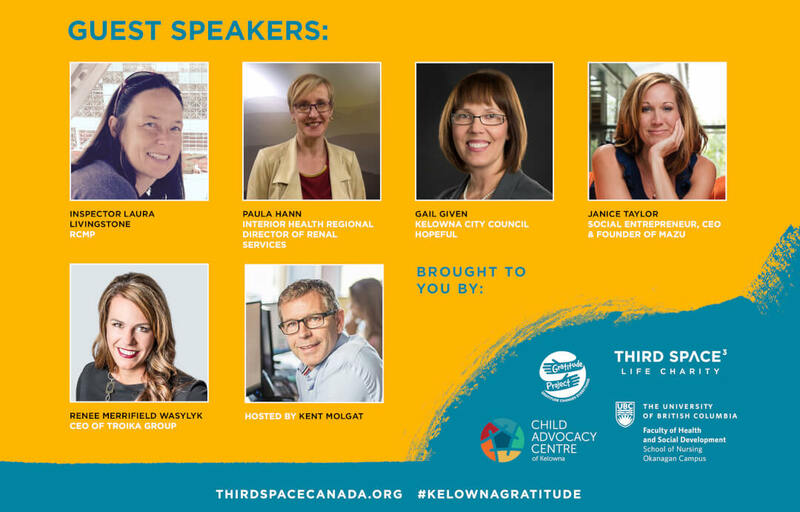 This is the 3rd consecutive year this speaking series (as part of Third Space's Gratitude Project) inspires gratitude and highlights some of the unsung heroes in our community. 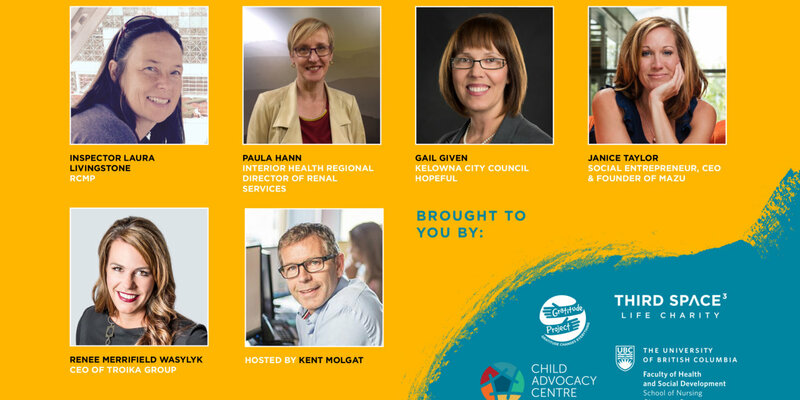 Guest speakers include City Council hopeful, Gail Given, Renee Merrifield Wasylyk (CEO of Troika Group), Janice Taylor (Social Entrepreneur, CEO & Founder of Mazu), Paula Hann (Interior Health Regional Director of Renal Services), and Inspector Laura Livingstone (of the Kelowna RCMP). Admission is free or by donation at the door, with all proceeds benefiting the Kelowna Child Advocacy Centre and Third Space Life Charity. *Third Space Charity is a registered charity focussed on providing counselling and mental health programs to those in need. 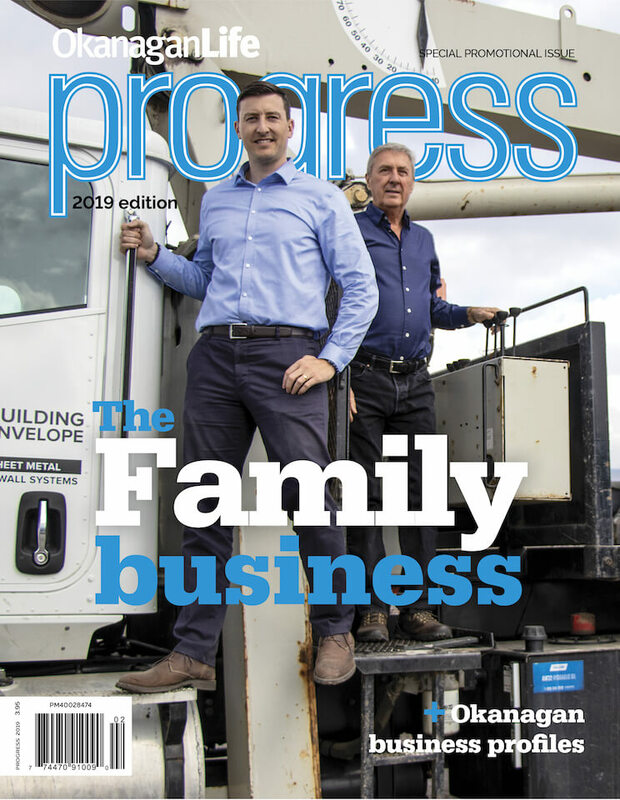 Last year the charity provided free counselling to 1500 UBCO students, counselled 25 individuals free of charge, and put 55 individuals in addictions recovery through the Life Transitions program: a return-to-community action plan that teaches foundational human skills and values to those struggling to break free from the cycle of addiction.